We’re big fans of conscious transformational festivals. We know they can’t be perfect and some valid criticisms have been made. However, at their best they can provide us with a glimpse of what life on Earth could be like if all humans were in touch with their humanity. Conscious festivals foster a creative and collaborative atmosphere of caring, sharing, openness and kindness. For that reason, they can be can be magical, transformative and often life-changing experiences for many of those who attend. One of the things most people love about festivals is the high level of connectivity. Everyone feels they can show up and be themselves, be accepted, not labeled or judged. Besides the amazing openness and inclusivity you will experience, most of these festivals provide access to incredible music, visionary art installations and performances. Many different lectures & workshops are often available where you can learn from various experts and leading alternative thinkers or share your own knowledge. 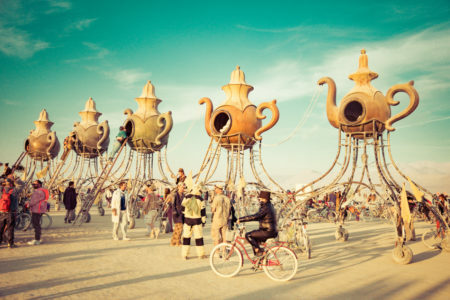 Burning Man receives the most attention from the media but it’s far from the only conscious festival in the world. Here is a list of some of the best trasnformational festivals from around the world. An exciting 8-day festival to see out the old year and greet the new with a phenomenal mix of music, art and exhilaration by the beach at Pratigi in Brazil. After 15 yrs. of experience, of running the festival in non-stop rain, to witnessing a breakthrough in Brazilian electronic music, the organizers now believe they are ready to be on the world festival map and bring you something extra special. Children under 12 go free. 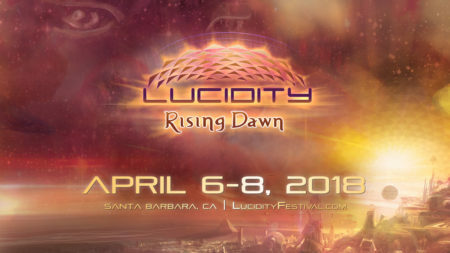 No longer just an electronic music festival these days you can expect to experience a unique combination of music, art, performance, spiritual education, relaxation and healing at this 4-day event. “While dancing their Dreamings, aborigines spiritually connect themselves to the land and to the Dreamtime. The drumming of feet during the dance draws the earth into dialogue with the dancers, allowing the ceremony to bring the power of the Dreaming to life.” The name Rainbow Serpent is distinctly Australian, coming from the Dreamtime creation story told by the traditional owners of the land. 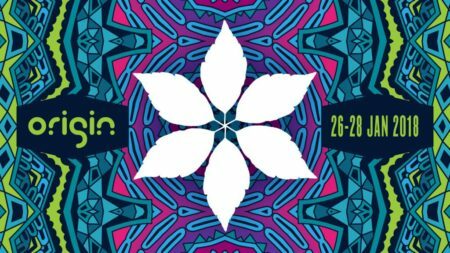 An internationally recognized, multifaceted weekend of dance, color, expression and celebration, people now travel from all over the world to experience what some have said is the best outdoor festival of its type in the Southern Hemisphere. A 3-day music and arts festival held in a stunning environment just 125km out of Cape Town with backdrops of towering mountains and cradled under huge trees. This is the perfect festival to feel both lost in nature and yet nourished by it, as well as lost in the music and visionary art. We read that the organizers have got this ‘just right’, including separate loos for men and women, all under shade. 99% recycling and a leave no trace policy. Not for under 18’s. This 4-day festival is more than a festival although it has all the music, visionary art installations, healing sanctuaries and workshops you could wish for. It is also adventure in sustainability, ecology and the magical environment of Costa Rica. 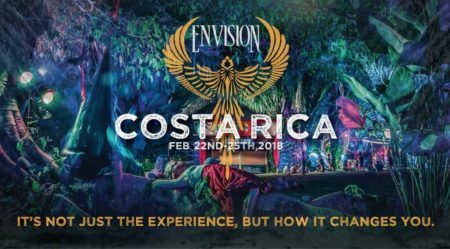 You can join the Envisioners before and/or after for truly rapturous experiences in the rain forest or on and in the ocean. A fully immersive experience in the new culture of inclusion and expression. Great for kids too. 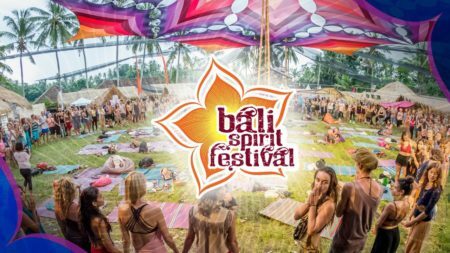 The Bali Spirit 6-day Festival was founded to be a premier international holistic wellness and world music event to awaken and nourish each individual’s potential for inner change which will ripple out to impact our homes as well as local and global communities. Through the inspirational traditions of Yoga, Dance, and Music, the Bali Spirit Festival illustrates the Balinese Hindu concept of Tri Hita Karana: living in harmony with our spiritual, social, and natural environments. The founders pledge to provide financial, logistical, and organizational support to local charities, with a special emphasis on children’s programs, multicultural education and performance, healthcare, HIV& AIDS awareness, and environmental conservation in Bali and greater Indonesia. Lucidity is a 3-day open-source transformational arts and music festival co-created with the participants who’re invited to come play, get involved with one of seven themed villages, bring art, lead a workshop, spark a spontaneous flash mob, embody a character from their dreams, be silly and wild and free. A world class lineup of musical talent and galleries showcasing the finest art the region has to offer enriches the festival as a visual voyage. Art installations pleasure participants with multi-sensory stimulation while themed environments create intimate settings for personal connections. Earth-Beat is a 3-day conscious gathering with a shared vision of community, strength and spirit; a co-creative harvest gathering intended to strengthen the community before winter by celebrating the abundance and warmth of the past summer. With a great line-up of local and overseas performers, artists, healers, and speakers, Earth-Beat is a celebration of music, art and community. A family friendly event which offers plenty for the younger festival goer with kids’ entertainment, activities and workshops. Located at Kawai Purapura Retreat & Holistic Living Centre just 20mins from Auckland. 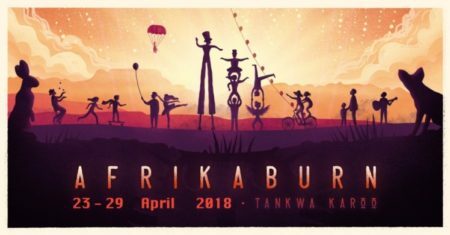 AfrikaBurn is the 7-day result of the creative expression of participants who gather once a year in the Tankwa Karoo to create a temporary city of art, theme camps, costume, music and performance. 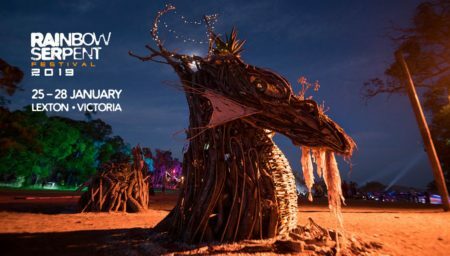 AfrikaBurn’s aim is to be radically inclusive and accessible to anyone. The touchstone of value in their culture will always be immediacy: experience before theory, moral relationships before politics, survival before services, roles before jobs, ritual before symbolism, work before vested interest, participant support before sponsorship. As at Burning Man this festival runs a gift economy where nothing is exchanged for cash. Set in a stunning forest in Spain this 3-day festival is a magical space for all ages. Exploring the ancient ritual of dance to access a state of trance, the idea is to transition in to a new dimension and raise your state of mind and being. If you fancy something slower, the wonderful chill out areas offer relaxation and the chance to slow the pace to the drums. Apart from your essentials everything else you need can be found in their extensive market place including all you may require dressing up and play. A good festival if you are travelling alone as there is a focus on community and individuals will receive a warm welcome in the Unicorn Camp. Good news for undies (those under 16yrs old) and oldies – they go free! 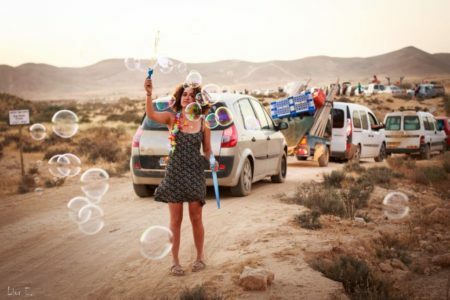 Run by the Israeli Burning Man community this Burning Man style 5-day event is held in the Negev Desert. A temporary city with a gift economy, a ‘leave no trace’ ethos, a powerful ‘radical inclusion’ community atmosphere creating the space for ‘radical self-expression and self-reliance’. This off-shoot of Burning Man is the festival in Europe for bringing out your deepest and wildest creativity and flaunting it. With inspirational themes such as Genesis and Transcendence this festival will certainly whet your artistic appetite. On top of the Welsh Hills is an underground 4-day feast of nonstop trance, dance, hip hop and reggae, jungle beats and urban street, cabaret, circus, sherpas and divine healers to delight, amaze and transfix your senses. This idyllic setting of tree filled parkland and rolling countryside is a place to stumble across unsigned, flowering talent or old favorites that can raise the roof. Leading the way for sustainable events nationally and across Europe, Sunrise is renowned for being at the forefront of ethical and environmentally aware events. Families welcome. Boom is not only a festival, it is a state of mind. Inspired by the principles of Oneness, Peace, Creativity, Sustainability, Transcendence, Alternative Culture, Active Participation, Evolution and Love, it is a space where people from all over the world can converge to experience an alternative reality. Boom is a festival dedicated to the Free Spirits from all over the world. It is the gathering of the global psychedelic tribe and of whoever feels the call to join in the celebrations!! Boom is a week long unpredictable and unforgettable adventure. It takes place, every two years, during August Full Moon, on the shores of a magnificent lake in the sunny Portuguese inland and everyone is invited. This 4-day Festival was born from a vision as grassroots as it gets. On a sunny Labor Day weekend back 1998, some 500 people gathered at the Salmo River Ranch for a party that showcased local art and music. 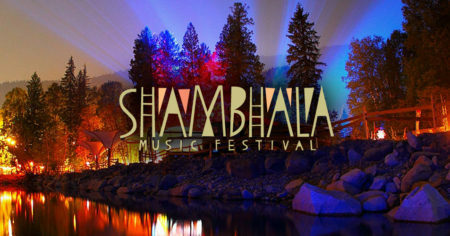 Since those early days Shambhala grew with enthusiasm by word of mouth, quickly becoming a staple event for the West Coast underground electronic music scene. Today it attracts world renowned DJs and artists and some of the most eclectic, energetic fans in the universe. 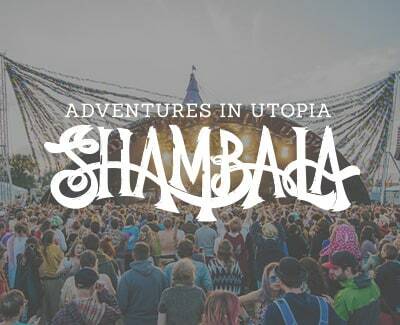 Shambhala is a celebration of music, art and life, steeped in one of the most beautiful festival venues in the world. A 4-day extravaganza over August Bank Holiday Weekend at a stunning secret location in the heart of the Northamptonshire countryside. The entertainment on offer is staggering for a festival of its size. With over 200 diverse musical acts across 12 live stages, world-class cabaret, an array of workshops, stand-up comedy, inspirational talks and debates, jaw dropping circus and acrobatics, interactive theatre and nationally acclaimed poetry all housed in beautifully decorated venues. Pioneering, intimate and truly innovative, Shambala Festival has perfectly blended creativity and participation for well over a decade. A “legendary party”, it is also a haven for cutting edge theatrics and performance, a think-tank of ideas and an award winning green event. Perfect for families. Burning Man says it’s ‘not a festival but a catalyst for creative culture in the world. It is a city in the desert, a culture of possibility and a network of dreamers and doers. Once a year, tens of thousands of people gather in Nevada’s Black Rock Desert to create Black Rock City, a temporary metropolis dedicated to community, art, self-expression, and self-reliance. In this crucible of creativity, all are welcome.’ This is the festival which has birthed many off-shoots around the world and is based on its powerful 10 Principles of Radical Inclusion, Gift Economy, Decommodification, Radical Self-Reliance, Radical Self-Expression, Communal Effort, Civic Responsibility, Leaving No Trace, Participation, Immediacy.